For those of you who have been following the drama around fundamentalist seminary president Paige Patterson’s counsel to women to stay in abusive marriages rather than divorce, I’m about to say something shocking. Paige Patterson is right. The Bible condemns divorce except in cases of adultery and a very specific form of abandonment; it does not give an out for domestic violence. In response to the Paige Patterson drama, nice guy fundamentalist Russell Moore tried his best to make the Bible allow divorce for domestic violence, but he had to engage in ridiculously dishonest eisegetical gymnastics to do so. The hard truth is that the biblical inerrantist worldview of both Paige Patterson and Russell Moore does not allow an understanding that domestic violence is a valid reason to leave a marriage. Paige Patterson is being consistent and faithful to his worldview while Russell Moore is trying to cheat and make it more palatable to modern society. In Mark 10, the Pharisees try to test Jesus by asking him a question about divorce. Under the Mosaic law, all a man had to do to divorce a woman was write a certificate of divorce and send her away. Presumably the certificate of divorce is the woman’s proof that she’s not committing adultery if she tries to remarry. In response to the Pharisees’ inquiry, Jesus says, “Anyone who divorces his wife and marries another woman commits adultery against her. 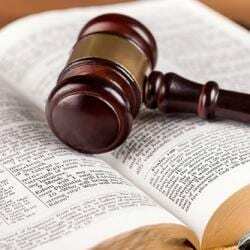 And if she divorces her husband and marries another man, she commits adultery” (Mark 10:11-12). 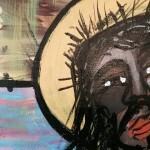 In Matthew’s account of the same conversation, Jesus offers the caveat “except for sexual immorality” (Matthew 19:9). In other words, if you become a Christian and your non-believing spouse walks away as a result, you are “not bound.” You can marry another Christian. So we might say that Paul declares divorce and remarriage to be permissible in the case of “abandonment.” But this abandonment has a very specific context: when a non-believing spouse leaves upon the believing spouse’s conversion. Paul does not give explicit instructions on what you’re allowed to do if a Christian spouse leaves you. Can you remarry after that? It’s unclear that he would allow it because he says in 1 Corinthians 7:11 that anyone who divorces must remain unmarried or be reconciled to their estranged spouse. Does it even count as a divorce if your Christian spouse skips town or are you still officially married and thus adulterous if you try to marry someone else? According to Paul’s logic in 1 Corinthians 7, the reason believers are “not bound” when non-believing spouses leaves them is not because they were abandoned but because their spouses were not believers. So a pure and consistent biblical inerrantist would have to say that only if you are abandoned by a non-believing spouse can you remarry and be absolutely sure that you’re not disobeying the Bible. First of all, he didn’t get the chapter and verse right when he wrote 1 Corinthians 7:25. In that verse, Paul is saying something about virgins that has nothing to do with divorce. It’s verse 15 where Paul says that if a non-believing spouse leaves, you are not bound. Now you recall what I just shared with you about Paul’s teaching in that chapter. How in the world could anybody possibly claim that it has anything to do with domestic violence? It doesn’t. Russell Moore thinks he can summarize 1 Corinthians 7:15 down to a single word — abandonment — and then interpret that word loosely to include an “unsafe home.” That’s why the fundamentalist trolls who came after Russell Moore were absolutely right to do so under their biblical inerrantist logic. 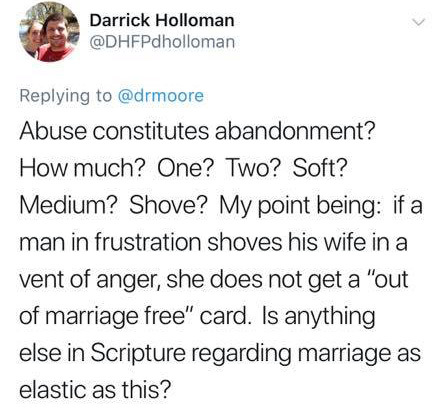 Darrick Holloman probably should have just stuck to a scriptural argument instead of giving people a reason to wonder how much he’s been beating his wife. All he had to say was Paul was never talking about abuse, you nitwit; he was talking about non-believers saying peace out when their spouses become Christians. In any case, Paige Patterson and Darrick Holloman are honest and consistent biblical inerrantists; Russell Moore is a fraud who’s trying to compromise the word of God in order to scratch the itching ears of Christians who don’t want to face its full harshness. The problem is not that Paige Patterson has somehow misinterpreted the Bible while Russell Moore is giving a better interpretation. The problem is that biblical inerrancy is a toxic straightjacket that prevents Christians from being compassionate, reasonable people who love the way Jesus would want us to love. Now some have made the argument that Jesus’ agenda in attacking divorce was to protect women from being thrown away into a lifetime of poverty. In Jesus’ day, divorced women were extremely economically vulnerable. That’s the interpretation that Dallas Willard takes in the Divine Conspiracy. I like it, but it’s complete speculation and eisegesis. Jesus does not give us any supporting evidence in the immediate text. The problem here is not that we need to interpret the Bible more accurately. The problem is that we need to actually believe the Christian gospel and read the Bible in a way that reflects that belief. According to the gospel, we are justified entirely by God’s grace poured out through Jesus Christ’s sacrifice for our sins on his cross. 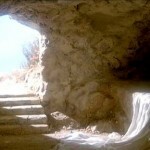 We receive that justification simply by trusting in it; that’s what faith is. Anything beyond that trust makes “faith” into a work. People who try to turn the Bible into a legalistic rule-book reveal that they haven’t yet trusted that they are completely justified by God’s grace. This is why I hypothesize that justification by faith for many conservative evangelicals like Paige Patterson and Russell Moore is really earning salvation by believing hard things. Dogmatic hypervigilance reveals a complete lack of eternal spiritual security. For someone who lives under grace, the Bible is not a drill sergeant to be obeyed, but a treasure map that draws us into deeper levels of intimacy with God. This is what 80% of the apostle Paul’s writing is about: things like the “depth and breadth and height and width” of God’s love (Ephesians 3:18). When biblical inerrantists read scripture, they brush aside all the fluffy poetry (i.e. most of the Bible) and focus exclusively on things that seem like commands (even if they aren’t actually universal commands but pastorally contextual exhortations for specific historical communities). 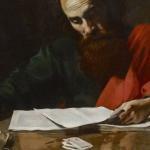 When I read Paul’s epistles, I mostly see a man furiously arguing against every attempt to turn God’s word into a source of personal political power through some kind of legalism. His biggest battles are against those who try to make the gospel harder than it has to be. Paul has specific instructions for specific historical communities that always have something to teach us about how to connect with God. But they aren’t direct commands that he’s given to us two thousand years later; we are eavesdropping on his conversation with other people in order to learn secondarily from his teaching. What I’m interested in is gaining the intimacy with God that Paul had, not turning his words into laws that give me the ability to control other people as a pastor. Any honest account of Paul’s sexual ethics has to start with the recognition that he actually wanted everyone to stay celibate so they could experience the profound mystical glory he had access to. If you read the whole chapter of 1 Corinthians 7, it’s clear that his understanding of sexual ethics is pragmatic, aesthetic, and mystical, not at all legalistic like the inerrantists want to make him. When I read the stories about Jesus, I see a man who ferociously attacks religious leaders and stands up for the outsiders they condemn. Time and time again, Jesus jumps to the defense of prostitutes, tax collectors, and other unruly, improper people whenever they are attacked by the first century versions of Paige Patterson and Russell Moore. So on that basis though not on the basis of straightforward exegesis, I can say with a lot of confidence that yes, of course Jesus would tell us to leave any marriage where we’re being abused whether it’s physical, emotional, or spiritual. The legalistic use of scripture under biblical inerrancy is the “filthy rags” the apostle Paul was talking about. As long as the fundamentalists continue to use biblical legalism to control their churches, it doesn’t matter how nice and reasonable they try to be; they will operate with a suffocated gospel that creates a culture where abuse is normalized. 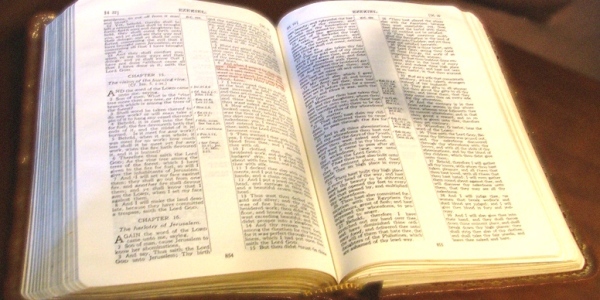 The Bible is a wonderful tool, but it is not a comprehensive rule-book for everything. It does not condemn domestic violence. But it doesn’t need to for those of us who actually know Jesus. Check out my book How Jesus Saves the World From Us: 12 Antidotes to Toxic Christianity! Please support our campus ministry NOLA Wesley as a monthly patron or one-time donor! 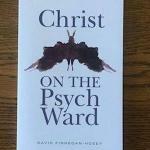 Is Jesus on the Psych Ward?